Lino Black-on-gray bowl. Click the image to open the Lino Black-on-gray gallery. 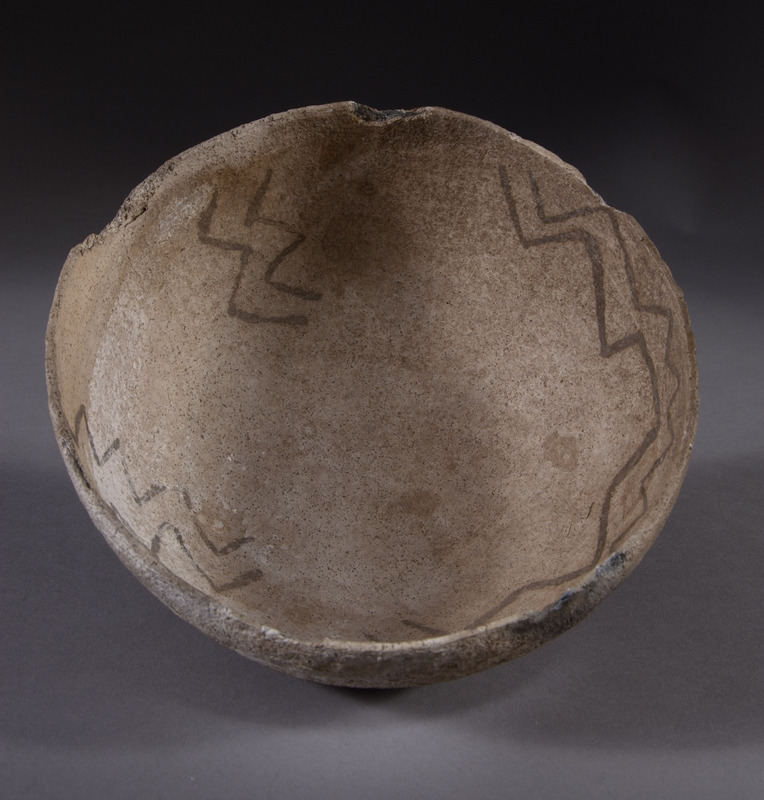 Lino Black-on-gray is the only type of Tusayan Gray Ware with painted decorations. 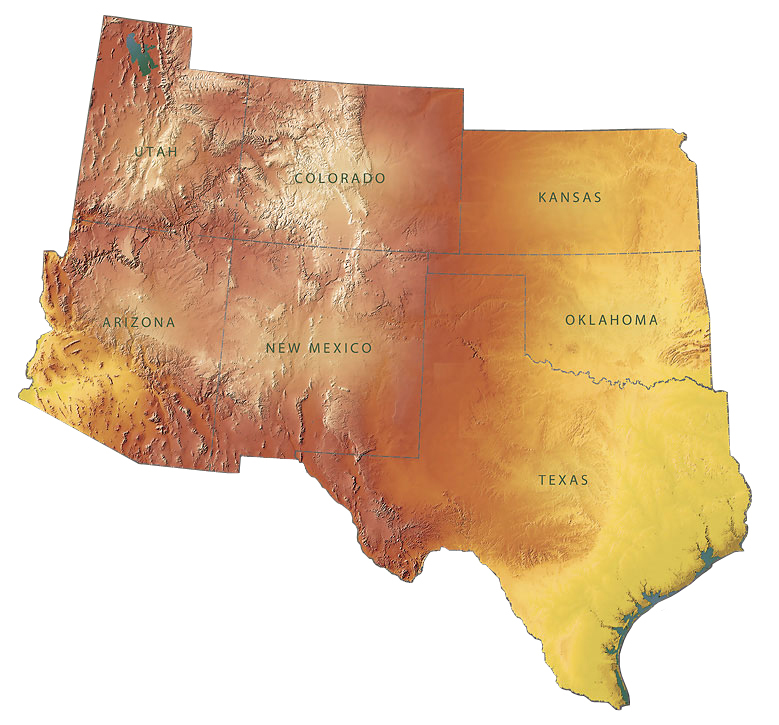 This type also had a widespread distribution and is found in southwestern Colorado, northwestern New Mexico, northern Arizona north of the Mogollon Rim, and in southern Utah east of the Colorado River. Date Range: Kayenta Heartland: A.D. 640-820 (Christenson 1994), Flagstaff Area: A.D. 550-825 (per Christian Downum, Northern Arizona University). Core Color: Usually dark gray or almost black, sometimes light gray. Temper: Abundant medium-fine to coarse quartz sand; temper conspicuous on the vessel surface, less so on painted surfaces. Surface Finish: Very roughly finished; scraped and occasionally lightly smoothed in spots on unpainted surfaces; almost always moderately smoothed on painted surfaces; not polished; never slipped; usually deeply pitted; scraping marks conspicuous. Vessel Thickness: Vessel walls fairly uniform in thickness. Paint: Black, occasionally slightly brownish where thin. Design: Narrow lines, frequently ticked or fringed; often narrow bands framed by narrow lines containing two or more rows of small isolated dots (1-2 mm in diameter); designs crudely executed. Comparisons: Kana’a Black-on-white is coated with a moderately heavy white slip, but has similar decorative elements with the addition of small solid triangles and lines in series. Deadmans Black-on-gray is constructed by paddling, has better executed designs and temper with mica-like particles, and well-smoothed surfaces lacking pitting and scoring. Comments: Some ceramicists classify Lino Black-on-gray as Tusayan White Ware rather than Tusayan Gray Ware. Other Names: Post-Basketmaker Ware, Post-Basketmaker Pottery, Basketmaker Black-on-white, Lino Black-on-white.